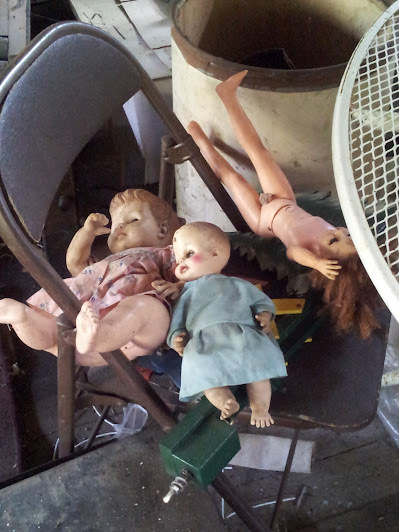 Dolls are always creepy, eh? Things were quieter in upstate NY than down in the city. We braced for more, but it never came — phew. Peg and I had good food, the dogs and movies. I’ve been so crazy busy lately it was good to have an excuse to shut everything down, put up my feet and take it easy. Happy Halloween! Samhain maith! Wear iron and don’t talk to pookahs. Let us remember those who have gone and whom we miss and share the bright memories with those near us now. Be well. Previous Post What is Weird Noir? Glad to hear Sandy passed you by. We were lucky! Thank you.